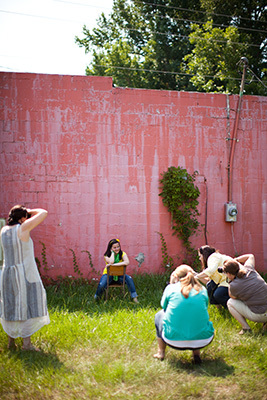 August 9th is the next date for the Basic DSLR Photography Workshop. Come to the Basic Photography Workshop and learn HANDS ON how to shoot in manual mode, basic composition, modeling sessions to practice what you’ve been taught, learn what ISO Shutter Speed and Aperture are, we will have a Q&A time along with discovering how to use your camera to maximize your photography. Each of the workshops is taught by the talented Erin Rachel, an expert in her field. This workshop will focus on making your work more solidified and teach you the basics of iso, f-stops, speed, depth of field along with basic composition and capturing moments versus poses. You will also learn all the camera basics to become a better photographer or mom-tographer!!! DSLR camera and at least two memory cards.